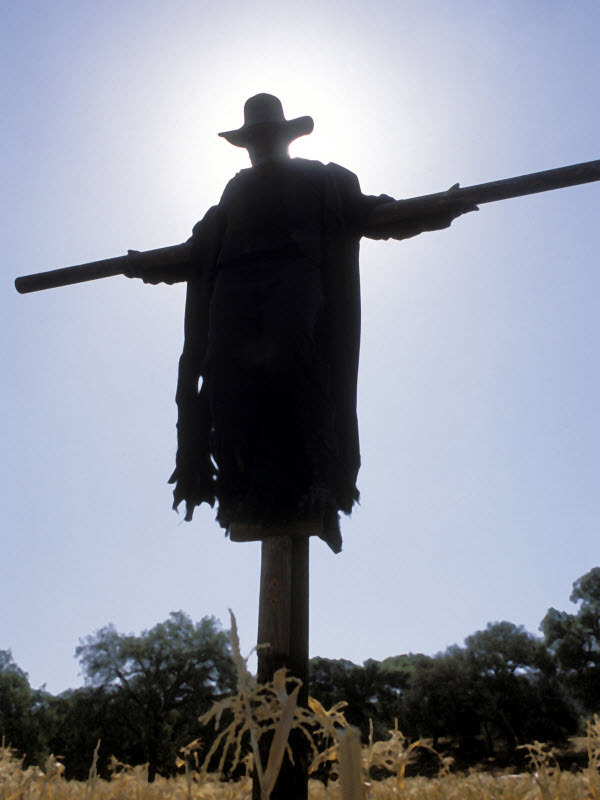 When it comes to sequels, movie reviewers are ordinarily encouraged to revisit an impending film's universe before even thinking about seeing the follow-up, but that alas is a practice I overlooked when it came to observing "Jeepers Creepers 2." According to a stack of promotional materials, my only source of foreknowledge in the inevitable journey to seeing this product, the film's predecessor sets a scenario that is more or less a platform for countless franchise installments; in other words, it suggests that any and all future additions to a series will either a) depend on prior events for any plot development, or b) simply repeat the same exact setup over and over again without adding anything other than higher body counts. We can usually get away with bypassing older series installments if the latter selection is implored (after all, what's the significance in revisiting a series if it is merely repeating itself? ), but on the rare occasions that sequels are advancements of older stories, acquaintance with the original premise is sometimes essential. Thankfully, however, watching this teenage horror flick without at first viewing its predecessor doesn't really hinder any attempts to look at the product objectively. No, not because it seems to exist independently from the first film in the franchise, but because no matter what may or may not have been accomplished with the original installment, it still doesn't mean the endeavor in front of us could be any less bad or appalling than it already is. "Jeepers Creepers 2" is cut from the same cloth that every other mindless horror film has come from, a fabric that for some odd reason continues to thrive even though the level of intelligence in the genre has been upped by braver, more intelligent filmmakers in the recent past. Every 23rd spring for 23 days, the opening credits tell us, "it" gets to feed. What "it" is exactly is a rather irrelevant issue with movies about bloodthirsty creatures, but I'll try to explain anyway: from what I can gather, "it," better known to genre enthusiasts as "the Creeper," is a large winged demon of sorts that looks like a cross between Freddy Krueger and the gremlin from "Twilight Zone," who every once in awhile swoops down from the sky and snatches up an unsuspecting man or woman, presumably to take them off and feast on them. The movie itself opens on the 22nd day of this 23-day-long cannibal harvest, in a scene so well shot and choreographed that it seems misplaced and unwarranted in contrast with the movie's other sequences. In it, we see a farmer and his two sons off doing yard maintenance, the youngest son hitching scarecrows up to poles scattered across an open corn field. The kid glances over his shoulder and thinks he sees one of the scarecrows move. He runs; it runs after him. The kid yells, but it's not enough time for older brother and dad to catch up to the lad, who is now at the mercy of the Creeper and is being dragged along the crops before being pulled into the air and vanishing from of sight. After it is all over, the father resolves to avenge the apparent death of his youngest boy by killing the Creeper himself, a task that, while rigorous, will probably be made a lot easier when the man unleashes his arsenal of powerful homemade weapons designed exclusively for slaughtering the demon. What follows in the shadow of this premise is one of the most long and stupid predicament plots I have seen in ages (a "predicament plot," for those unfamiliar with the term, refers to a story arc in which every bad thing possible conveniently happens in order for the characters to be dragged into the impending bloodshed). A bunch of varsity basketball high school kids, led by a racist egomaniac, are on their way home after successfully defeating their opponents in a recent game when suddenly one of the bus's tires goes flat. Upon investigation, it is revealed that the tire was flattened quite possibly on purpose—remenants of some sort of ninja star made of bone and flesh are found sticking out of the side of the rubber. And so comes the inevitable conflict when night falls and people get periodically picked off by the creeper whenever they step outside of the bus. The teens realize their dilemma and start turning on each other in panic, although luckily, one of their own just happens to be a psychic and has been told in her dreams all about the winged creature who threatens their very lives. This is not merely a bad concept, but a dumb and irrelevant one—an idea that feels like it was left over from some drug-induced brainstorming session in the basement of amateur B-movie directors. And even that could have been forgiven had the movie actually tried to have fun with the idea in the first place, but it does not. 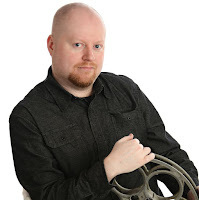 The movie plods along between plot points without any direction; the Creeper captures victims, flies, tears off body parts to replace those of his that are damaged, and every once in awhile stops to observe one of the imprisoned teens go into shrieking mode. It is established at one point that the demon is actually targeting specific victims based on how much they fear him; thus, to pass time during slow moments, the teens rant at each other about whose fault the whole thing is and who should be sacrificed in order to save the others. By actually allowing any of its characters to believe for one second that a winged demon is simply gonna stop the havoc if he gets his claws on one more person, the movie violates an essential rule in the horror movie—no core character should ever assume that you can bargain easily with a flesh-eater. As for the Creeper himself? Here, at least, is one movie villain that does not deserve the fate that waits for him in the movie's climactic moments. Aside from being wise enough to avoid exposure to all the idiotic teen chatter that saturates the picture (being off camera for long periods of time does have its advantages), he single-handedly resolves one of the film's core problems by eating those who tend to irritate us the most. The only major quibble I have with the ending, in fact, is that the Creeper isn't allowed to finish the job before he is stopped dead in his tracks. The fact that any teen from this film survives, leaving the door open for possibly more sequels, is the scariest thing I have seen all year.